If you're trying to stop yourself or a loved one from snoring, many solutions exist. From over-the-counter retail remedies to medical help, there is help available. Some anti-snoring solutions are designed to minimize the snoring by opening up the space in the airway. This makes breathing at night easier and minimizes the sound of the snoring. A mouthpiece can hold down the tongue and hold the lower jaw in a forward position. A bed wedge will elevate the head and neck, reducing the snoring caused by airway narrowing at the soft tissue at the back of the throat. Wedges also promote sinus drainage, minimizing nasal congestion and mouth breathing. Wedges are most comfortable when used for back sleeping. A chin strap will keep your mouth closed. 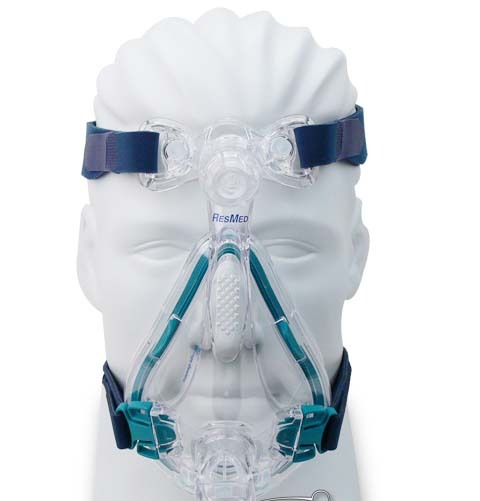 This forces you to breathe through your nose preferentially. This way you are less likely to snore. This device fits comfortably around your waist over your pajamas or night shirt. It persuades you to sleep on your side, which is a position less likely to make you snore. Some snorers find that lubricating the back of their throat with a glycerin-based spray is a quick and easy way to coat dry throats. With a moist environment, there is usually little sound generated by the air passing over the vibrating throat tissues. Losing excess body weight will minimize the extra soft tissue in the back of the throat. This is a common cause of snoring. The more you breathe through your nose, the less you will breathe through your mouth and snore. Nasal strips are a comfortable, convenient, and relatively inexpensive solution to many snoring problems. Nose vents work by increasing the size of the passage for air in your nostrils. The nose is the point of maximum resistance to airflow in your entire respiratory tract. Increasing the size of the nasal passages with these simple devices can make breathing through your nose during sleep dramatically easier, and you will be much less likely to snore. Minimally invasive surgical procedures can shrink the excess tissue that narrows and vibrates, giving rise to snoring. In less than five minutes, a needle electrode is inserted into the soft palate at the base of the uvula. An electrode destroys extra tonsil and adenoid tissue, leaving a wider space to breathe at night. You may experience some post-surgical swelling. With these aides to help you, most sleep experts agree that you will probably start sleeping better and snoring less within a few days.